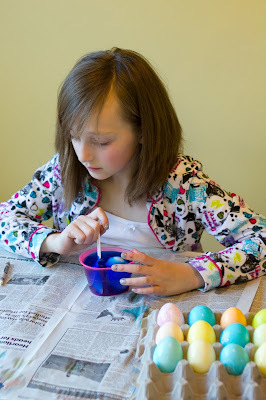 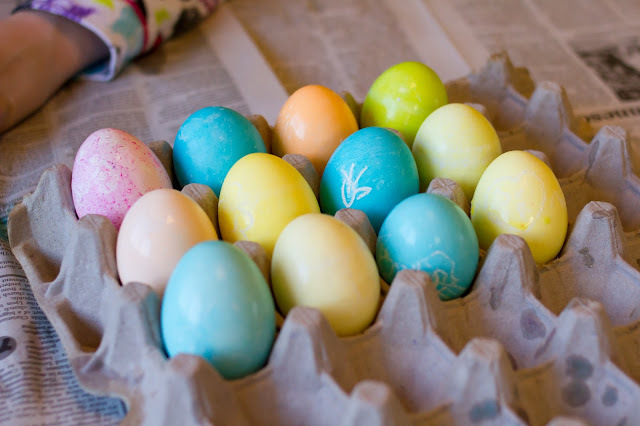 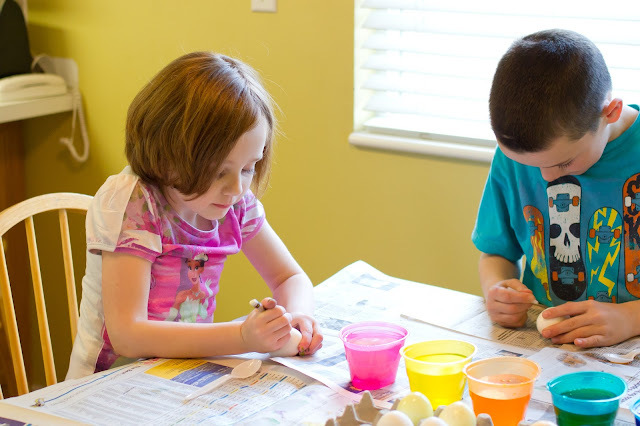 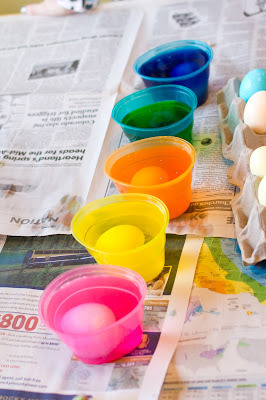 I can't think of any clever way to write about the fact we colored eggs. 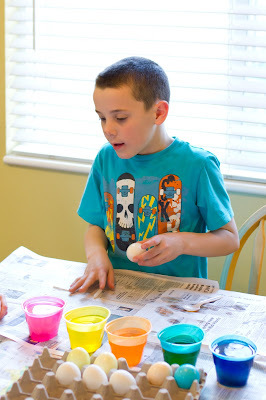 I bought a kit that came with disposable cups, I boiled eggs, mixed up the dye, and then let the kids go at it. 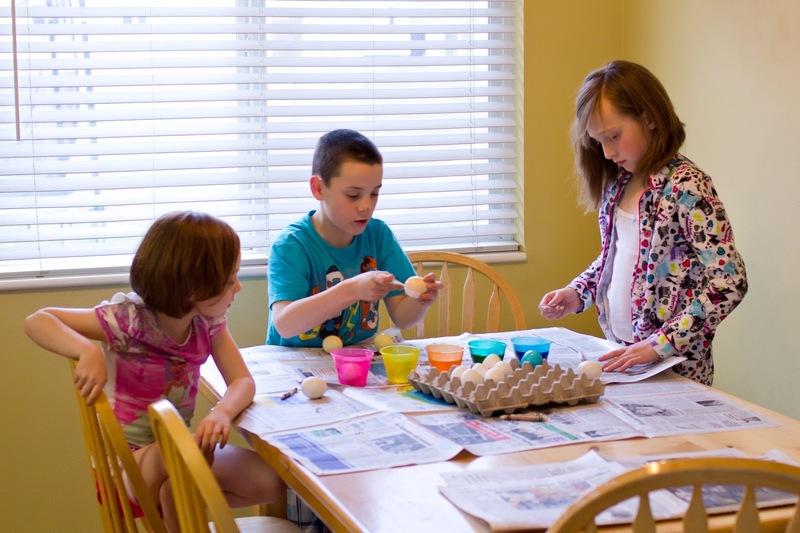 Hunter was done in under five minutes, Hannah kept telling me how she wished we had more eggs for her to dye, and Samantha took her sweet time getting them perfect.